The Total Control Software Major Unit Sales with F & I module plays a key role managing your major unit (boat/motor/trailer/RV/ATV) inventory and sales operation. The Major Unit Sales with F & I module integrates with our industry leading MarineTrack prospect management system, for effective sales lead management and followup. Major units may be placed directly into inventory or be selected from user-defined templates. Boats, motors and trailers may be placed into inventory either together or alone, with the ability to easily package them together. Rigging managers may print out rigging sheets that detail work to be performed on sold boats. All costs from the dealer invoice through the rigging work order are tracked for each inventory item to calculate a true gross margin on each deal. Price formulas may be used to automatically perform costline and priceline calculations. Floor plan interest may be easily tracked by floor plan company on a per unit basis. Consignment, brokerage and trade units are handled with ease. 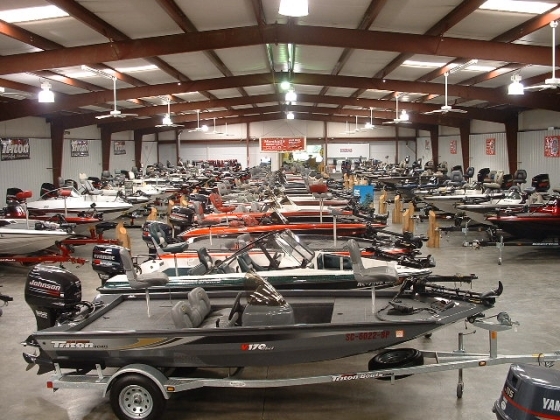 Salespeople may easily view all available units for sale and print out specification/ boat show special sheets and reports, as well as add additional accessories at the time of a customer deal. F & I Managers may sell extended service contracts and insurance products, print retail finance, extended warranty, DMV/DNR forms and track reserve payments. Multiple user-defined commissions calculations may be applied for each deal.